Gasoline fuels our engines and gets us where we’re going—it’s why Sunoco provides high quality gasoline. You don’t have to be an expert mechanic to know how to choose the right fuel for your car and safely handle and store gasoline. Below are a few facts and tips to help. Follow the auto manufacturer’s octane recommendations in your owner’s manual. It’s normal for an engine to ping a little bit at full throttle because cylinder pressures are very high. Engine knock, however, should not be ignored since it can result in serious damage to the engine. If you experience knock, try the next highest octane grade to eliminate it. Never smoke, light matches, or use lighters. Never use gasoline as a cleaning solvent or for any purpose other than as a fuel. Practice good hygiene after handling gasoline. Wash hands and other areas that may have come in contact with gasoline. Avoid prolonged inhalation of vapors as gasoline contains benzene, a known carcinogen. Learn how to be safe at the pump. Most gasolines will last several months in a sealed, clean container – including your vehicle’s fuel tank. 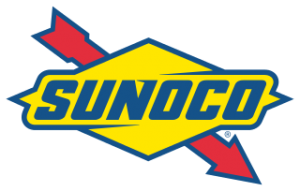 Sunoco fuels significantly exceed U.S. Environmental Protection Agency (EPA) gasoline detergency standards. All grades of Sunoco fuel contain the same level of detergent. In addition to government-mandated detergency tests, Sunoco fuels are subject to additional testing by an independent, third-party lab to further ensure their quality. Learn more about our safety and environmental policies. Sunoco fuels contain additives such as corrosion inhibitors and antioxidants, which help to ensure quality and promote a longer “shelf life”, which means the gasoline will last longer between uses. Gasoline filters trap particles as small as 10 microns from the gasoline before it goes into your tank. This information is merely for your information and not intended to replace automotive technical or mechanical advice. Statements expressed and information provided here should not be considered facts or representations of any kind and are without any warranty of any kind, express or implied; Sunoco nor Hughes Motors Corporation are liable for its accuracy, for mistakes, errors, or omissions of any kind, nor for any loss or damage caused by a user’s reliance on this information.